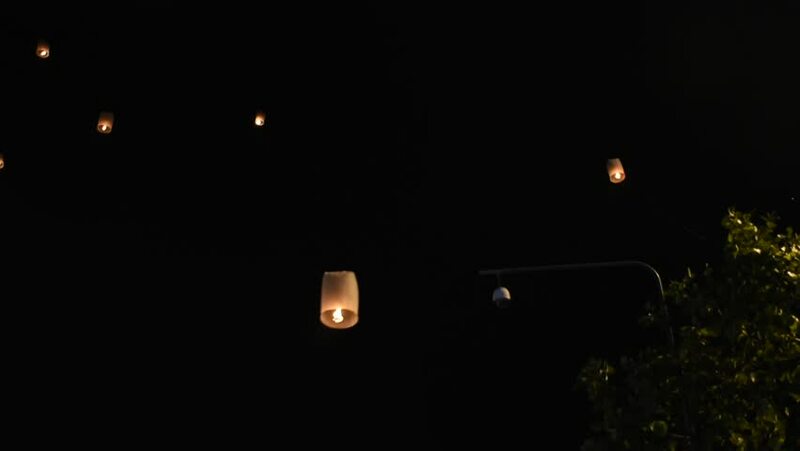 Lanterns release floating on dark sky background. hd00:10Blurred View, Fire Show. Men make fire circles. Blurry background.